Let us picture to ourselves a man ascending a very high, steep and hitherto unexplored mountain. Let us assume that he has overcome unprecedented difficulties and dangers and has succeeded in reaching a much higher point than any of his predecessors, but still has not reached the summit. He finds himself in a position where it is not only difficult and dangerous to proceed in the direction and along the path he has chosen, but positively impossible. He is forced to turn back, descend, seek another path, longer, perhaps, but one that will enable him to reach the summit. The descent from the height that no one before him has reached proves, perhaps, to be more dangerous and difficult for our imaginary traveller than the ascent—it is easier to slip; it is not so easy to choose a foothold; there is not that exhilaration that one feels in going upwards, straight to the goal, etc. One has to tie a rope round oneself, spend hours with an alpenstock to cut footholds or a projection to which the rope could be tied firmly; one has to move at a snail’s pace, and move downwards, descend, away from the goal; and one does not know where this extremely dangerous and painful descent will end, or whether there is a fairly safe detour by which one can ascend more boldly, more quickly and more directly to the summit. Russia’s proletariat rose to a gigantic height in its revolution, not only when it is compared with 1789 and 1793, but also when compared with 1871. We must take stock of what we have done and what we have not as dispassionately, as clearly and as concretely as possible. If we do that we shall be able to keep clear heads. We shall not suffer from nausea, illusions, or despondency. But we have not finished building even the foundations of socialist economy, and the hostile powers of moribund capitalism can still deprive us of that. We must clearly appreciate this and frankly admit it; for there is nothing more dangerous than illusions (and vertigo, particularly at high altitudes). 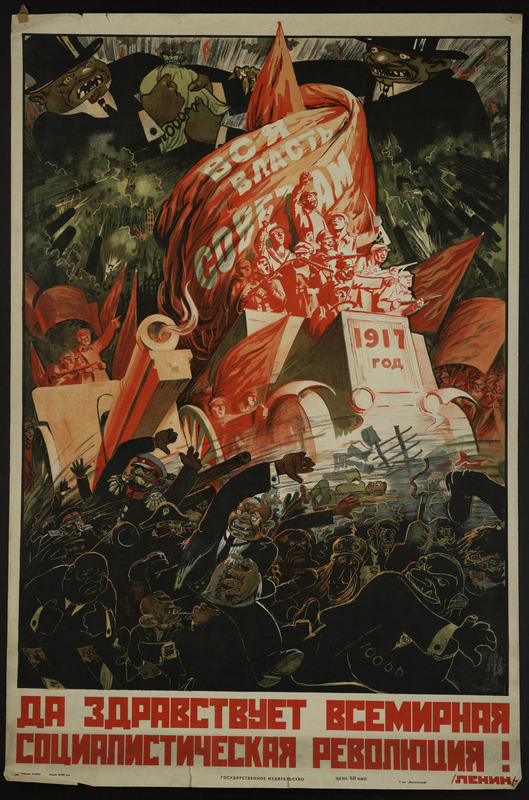 And there is absolutely nothing terrible, nothing that should give legitimate grounds for the slightest despondency, in admitting this bitter truth; for we have always urged and reiterated the elementary truth of Marxism—that the joint efforts of the workers of several advanced countries are needed for the victory of socialism. We are still alone and in a backward country, a country that was ruined more than others, but we have accomplished a great deal. Those Communists are doomed who imagine that it is possible to finish such an epoch-making undertaking as completing the foundations of socialist economy (particularly in a small-peasant country) without making mistakes, without retreats, without numerous alterations to what is unfinished or wrongly done. Communists who have no illusions, who do not give way to despondency, and who preserve their strength and flexibility ‘to begin from the beginning’ over and over again in approaching an extremely difficult task, are not doomed (and in all probability will not perish). This is Lenin at his Beckettian best, foreshadowing the line from Worstward Ho: ‘Try again. Fail again. Fail better.’ His conclusion—to begin from the beginning—makes it clear that he is not talking about merely slowing down and fortifying what has already been achieved, but about descending back to the starting point: one should begin from the beginning, not from the place that one succeeded in reaching in the previous effort. In Kierkegaard’s terms, a revolutionary process is not a gradual progress but a repetitive movement, a movement of repeating the beginning, again and again. When a whole army (I speak in the figurative sense) is in retreat, it cannot have the same morale as when it is advancing. At every step you find a certain mood of depression . . . That is where the serious danger lies; it is terribly difficult to retreat after a great victorious advance, for the relations are entirely different. During a victorious advance, even if discipline is relaxed, everybody presses forward on his own accord. During a retreat, however, discipline must be more conscious and is a hundred times more necessary, because, when the entire army is in retreat, it does not know or see where it should halt. It sees only retreat; under such circumstances a few panic-stricken voices are, at times, enough to cause a stampede. The danger here is enormous. When a real army is in retreat, machine-guns are kept ready, and when an orderly retreat degenerates into a disorderly one, the command to fire is given, and quite rightly, too. This ‘red terror’ should nonetheless be distinguished from Stalinist ‘totalitarianism’. In his memoirs, Sándor Márai provided a precise definition of the difference. Even in the most violent phases of the Leninist dictatorship, when those who opposed the revolution were brutally deprived of their right to (public free) speech, they were not deprived of their right to silence: they were allowed to withdraw into inner exile. An episode from the autumn of 1922 when, on Lenin’s instigation, the Bolsheviks were organizing the infamous ‘Philosophers’ Steamer’, is indicative here. When he learned that an old Menshevik historian on the list of those intellectuals to be expelled had withdrawn into private life to await death due to heavy illness, Lenin not only took him off the list, but ordered that he be given additional food coupons. Once the enemy resigned from political struggle, Lenin’s animosity stopped. For Stalinism, however, even such silence resonated too much. Not only were masses of people required to show their support by attending big public rallies, artists and scientists also had to compromise themselves by participating in active measures such as signing official proclamations, or paying lip-service to Stalin and the official Marxism. If, in the Leninist dictatorship, one could be shot for what one said, in Stalinism one could be shot for what one did not say. This was followed through to the very end: suicide itself, the ultimate desperate withdrawal into silence, was condemned by Stalin as the last and highest act of treason against the Party. 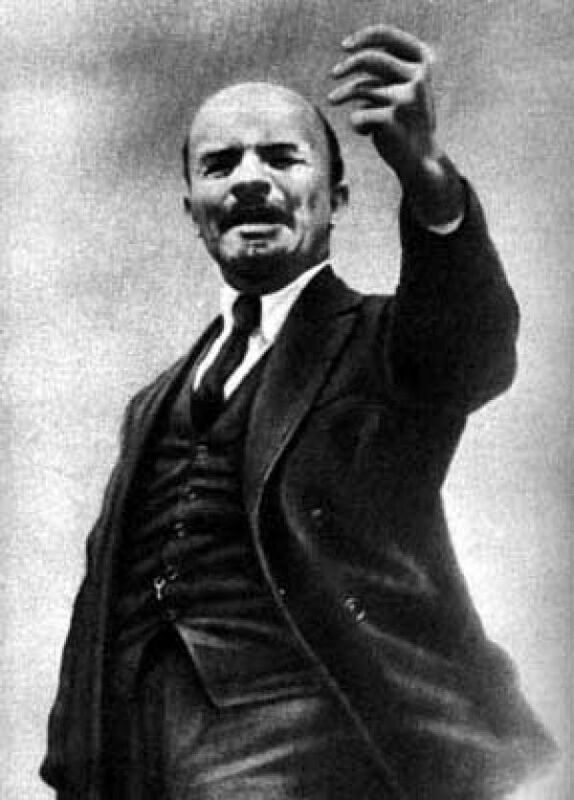 This distinction between Leninism and Stalinism reflects their general attitude towards society: for the former, society is a field of merciless struggle for power, a struggle which is openly admitted; for the latter, the conflict is, sometimes almost imperceptibly, redefined as that of a healthy society against what is excluded from it—vermin, insects, traitors who are less than human. A Soviet separation of powers? Was the passage from Lenin to Stalin necessary? The Hegelian answer would evoke retroactive necessity: once this passage happened, once Stalin won, it was necessary. The task of a dialectical historian is to conceive it ‘in becoming’, bringing out all the contingency of a struggle that might have ended differently, as Moshe Lewin tried to do in Lenin’s Last Struggle. Lewin points, firstly, to Lenin’s insistence on full sovereignty for the national entities that composed the Soviet state—no wonder that, in a letter to the Politburo of 22 September 1922, Stalin openly accused Lenin of ‘national liberalism’. 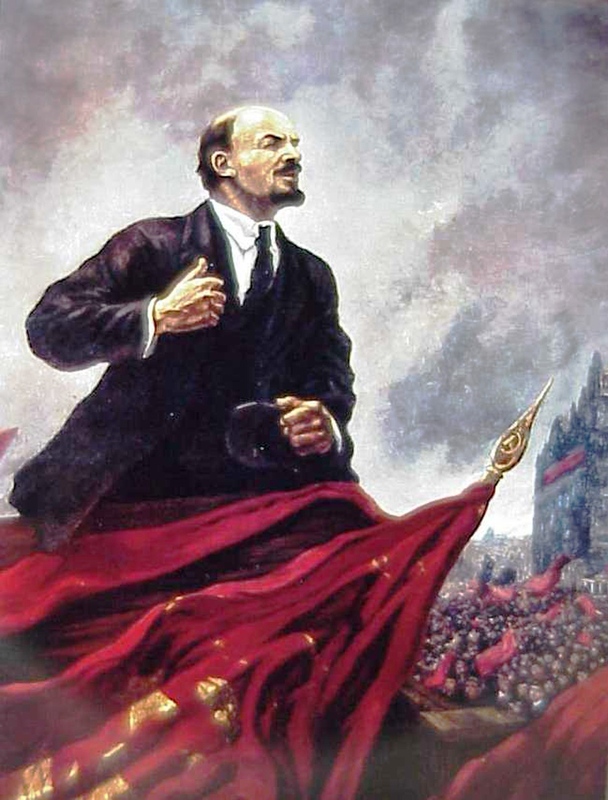 Secondly, he emphasizes Lenin’s stress on a modesty of goals: not socialism, but culture, universal literacy, efficiency, technocracy; cooperative societies, which would enable the peasants to become ‘cultured traders’ in the context of the NEP. This was obviously a very different outlook from that of ‘socialism in one country’. The modesty is sometimes surprisingly open: Lenin mocks all attempts to ‘build socialism’; he plays repeatedly on the motif of party deficiencies, and insists on the improvizational nature of Soviet policy, to the extent of quoting Napoleon’s ‘On s’engage . . . et puis on voit’. act as a control of the Central Committee and of its various offshoots—the Political Bureau, the Secretariat, the Orgburo . . . Its independence would be assured by its direct link to the Party Congress, without the mediation of the Politburo and its administrative organs or of the Central Committee. Checks and balances, the division of powers, mutual control—this was Lenin’s desperate answer to the question: who controls the controllers? There is something dreamlike, properly phantasmatic, in this idea of a Central Control Commission: an independent, educational, controlling body with an ‘apolitical’ edge, consisting of the best teachers and technocrats, to keep in check the ‘politicized’ Central Committee and its organs—in short, neutral expertise keeping party executives in line. All this, however, hinges on the true independence of the Party Congress—de facto already undermined by the prohibition of factions, which allowed the top Party apparatus to control the Congress and dismiss its critics as factionalists. The naivety of Lenin’s trust in specialists is all the more striking if we bear in mind that it came from a leader who was otherwise fully aware of the all-pervasiveness of political struggle, which allows for no neutral position. If this decision is confirmed by the Central Committee of the RCP [Russian Communist Part], it will not be made public, but communicated to the Central Committees of the Republics for circulation among the Soviet organs, the Central Executive Committees or the Congresses of the Soviets of the said Republics before the convocation of the All-Russian Congress of the Soviets, where it will be declared to be the wish of these Republics. The interaction of the higher authority with its base is thus not only abolished—so that the higher authority simply imposes its will—but, adding insult to injury, it is re-staged as its opposite: the CC [Central Committee] decides what wish the base will put to the higher authority as its own. Stalin is too rude, and this defect, though quite tolerable in our midst and in dealings among us Communists, becomes intolerable in a General Secretary. That is why I suggest that the comrades think about a way to remove Stalin from that post and appoint in his place another man who in all respects differs from Comrade Stalin in his superiority, that is, more tolerant, more loyal, more courteous and more considerate of the comrades, less capricious. Lenin’s proposals for a Central Control Commission and his concern that civility be maintained in no way indicate a liberal softening. In a letter to Kamenev from this same period, he clearly states: ‘It is a great mistake to think that the NEP put an end to terror; we shall again have recourse to terror and to economic terror.’ However, this terror, which would survive the planned reduction of the state apparatus and Cheka, would have been more a threat than an actuality: as Lewin recounts, Lenin sought a means ‘whereby all those who would now [under the NEP] like to go beyond the limits assigned to businessmen by the state could be reminded “tactfully and politely” of the existence of this ultimate weapon.’ Lenin was right here: dictatorship refers to the constitutive excess of (state) power, and at this level, there is no neutrality. The crucial question is whose excess? If it is not ours, it is theirs. some semi-humorous trick, cunning device, piece of trickery or something of that sort. I know that in the staid and earnest states of Western Europe such an idea would horrify people and that not a single decent official would even entertain it. I hope, however, that we have not yet become as bureaucratic as all that and that in our midst the discussion of this idea will give rise to nothing more than amusement. Indeed, why not combine pleasure with utility? Why not resort to some humorous or semi-humorous trick to expose something ridiculous, something harmful, something semi-ridiculous, semi-harmful, etc.? There is no such thing as ‘pure’ political power, devoid of any social foundation. A regime must find some other social basis than the apparatus of repression itself. The ‘void’ in which the Soviet regime had seemed to be suspended had soon been filled, even if the Bolsheviks had not seen it, or did not wish to see it. Arguably, this base would have blocked Lenin’s project of a CCC. It is true that, in both an anti-economistic and determinist way, Lenin insists on the autonomy of the political, but what he misses, in Badiou’s terms, is not how every political force represents some social force or class, but how this political force of representation is directly inscribed into the represented level itself, as a social force of its own. Lenin’s last struggle against Stalin thus has all the hallmarks of a proper tragedy: it was not a melodrama in which the good guy fights the bad guy, but a tragedy in which the hero becomes aware that he is fighting his own progeny, and that it is already too late to stop the fateful unfolding of his wrong decisions in the past. So where are we today, after the désastre obscur of 1989? As in 1922, the voices from below ring with malicious joy all around us: ‘Serves you right, lunatics who wanted to enforce their totalitarian vision on society!’ Others try to conceal their malicious glee; they moan and raise their eyes to heaven in sorrow, as if to say: ‘It grieves us sorely to see our fears justified! How noble was your vision to create a just society! Our heart was beating with you, but reason told us that your plans would finish only in misery and new unfreedoms!’ While rejecting any compromise with these seductive voices, we definitely have to begin from the beginning—not to build further upon the foundations of the revolutionary epoch of the 20th century, which lasted from 1917 to 1989, or, more precisely, 1968—but to descend to the starting point and choose a different path. But how? The defining problem of Western Marxism has been the lack of a revolutionary subject: how is it that the working class does not complete the passage from in-itself to for-itself and constitute itself as a revolutionary agent? This question provided the main raison d’être for Western Marxism’s reference to psychoanalysis, which was evoked to explain the unconscious libidinal mechanisms preventing the rise of class consciousness that are inscribed into the very being or social situation of the working class. In this way, the truth of the Marxist socio-economic analysis was saved: there was no reason to give ground to revisionist theories about the rise of the middle classes. For this same reason, Western Marxism has also engaged in a constant search for others who could play the role of the revolutionary agent, as the understudy replacing the indisposed working class: Third World peasants, students and intellectuals, the excluded. It is just possible that this desperate search for the revolutionary agent is the form of appearance of its very opposite: the fear of finding it, of seeing it where it already stirs. Waiting for another to do the job for us is a way of rationalizing our inactivity. If we have to abandon this hypothesis, then it is no longer worth doing anything at all in the field of collective action. Without the horizon of communism, without this Idea, nothing in historical and political becoming is of any interest to a philosopher. to hold on to the Idea, the existence of the hypothesis, does not mean that its first form of presentation, focused on property and the state, must be maintained just as it is. In fact, what we are ascribed as a philosophical task, even a duty, is to help a new modality of existence of the hypothesis to come into being. One should be careful not to read these lines in a Kantian way, conceiving of communism as a regulative Idea, and thereby resuscitating the spectre of ‘ethical socialism’, with equality as its a priori norm or axiom. Rather, one should maintain the precise reference to a set of social antagonisms which generates the need for communism; the good old Marxian notion of communism not as an ideal, but as a movement which reacts to actual contradictions. To treat communism as an eternal Idea implies that the situation which generates it is no less eternal, that the antagonism to which communism reacts will always be here. From which it is only one step to a deconstructive reading of communism as a dream of presence, of abolishing all alienating representation; a dream which thrives on its own impossibility. Though it is easy to make fun of Fukuyama’s notion of the End of History, the majority today is Fukuyamaist. Liberal-democratic capitalism is accepted as the finally found formula of the best possible society; all one can do is to render it more just, tolerant and so on. The simple but pertinent question arises here: if liberal-democratic capitalism is, if not the best, then the least bad form of society, why should we not simply resign ourselves to it in a mature way, even accept it wholeheartedly? 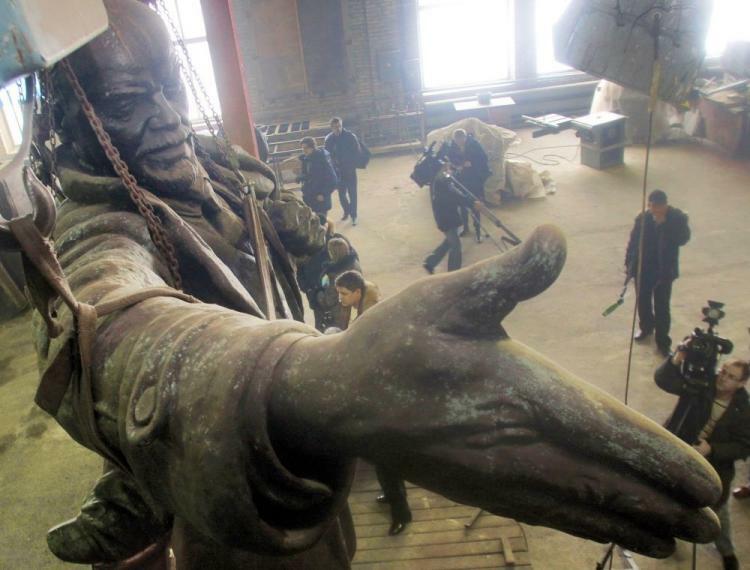 Why insist on the communist hypothesis, against all odds? It is not enough to remain faithful to the communist hypothesis: one has to locate antagonisms within historical reality which make it a practical urgency. The only true question today is: does global capitalism contain antagonisms strong enough to prevent its indefinite reproduction? Four possible antagonisms present themselves: the looming threat of ecological catastrophe; the inappropriateness of private property for so-called intellectual property; the socio-ethical implications of new techno-scientific developments, especially in biogenetics; and last, but not least, new forms of social apartheid—new walls and slums. We should note that there is a qualitative difference between the last feature, the gap that separates the excluded from the included, and the other three, which designate the domains of what Hardt and Negri call ‘commons’—the shared substance of our social being, whose privatization is a violent act which should be resisted by force, if necessary. First, there are the commons of culture, the immediately socialized forms of cognitive capital: primarily language, our means of communication and education, but also shared infrastructure such as public transport, electricity, post, etc. If Bill Gates were allowed a monopoly, we would have reached the absurd situation in which a private individual would have owned the software tissue of our basic network of communication. Second, there are the commons of external nature, threatened by pollution and exploitation—from oil to forests and the natural habitat itself—and, third, the commons of internal nature, the biogenetic inheritance of humanity. What all of these struggles share is an awareness of the destructive potential—up to the self-annihilation of humanity itself—in allowing the capitalist logic of enclosing these commons a free run. It is this reference to ‘commons’ which allows the resuscitation of the notion of communism: it enables us to see their progressive enclosure as a process of proletarianization of those who are thereby excluded from their own substance; a process that also points towards exploitation. The task today is to renew the political economy of exploitation—for instance, that of anonymous ‘knowledge workers’ by their companies. 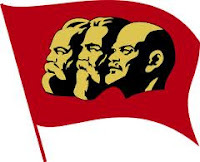 It is, however, only the fourth antagonism, the reference to the excluded, that justifies the term communism. There is nothing more private than a state community which perceives the excluded as a threat and worries how to keep them at a proper distance. In other words, in the series of the four antagonisms, the one between the included and the excluded is the crucial one: without it, all the others lose their subversive edge. Ecology turns into a problem of sustainable development, intellectual property into a complex legal challenge, biogenetics into an ethical issue. One can sincerely fight for the environment, defend a broader notion of intellectual property, oppose the copyrighting of genes, without confronting the antagonism between the included and the excluded. Even more, one can formulate some of these struggles in terms of the included threatened by the polluting excluded. In this way, we get no true universality, only ‘private’ concerns in the Kantian sense. Corporations such as Whole Foods and Starbucks continue to enjoy favour among liberals even though they both engage in anti-union activities; the trick is that they sell products with a progressive spin: coffee made with beans bought at ‘fair-trade’ prices, expensive hybrid vehicles, etc. In short, without the antagonism between the included and the excluded, we may find ourselves in a world in which Bill Gates is the greatest humanitarian, fighting poverty and disease, and Rupert Murdoch the greatest environmentalist, mobilizing hundreds of millions through his media empire. What one should add here, moving beyond Kant, is that there are social groups which, on account of their lack of a determinate place in the ‘private’ order of social hierarchy, stand directly for universality: they are what Jacques Rancière calls the ‘part of no part’ of the social body. All truly emancipatory politics is generated by the short-circuit between the universality of the public use of reason and the universality of the ‘part of no part’. This was already the communist dream of the young Marx—to bring together the universality of philosophy with the universality of the proletariat. From Ancient Greece, we have a name for the intrusion of the excluded into the socio-political space: democracy. The predominant liberal notion of democracy also deals with those excluded, but in a radically different mode: it focuses on their inclusion, as minority voices. All positions should be heard, all interests taken into account, the human rights of everyone guaranteed, all ways of life, cultures and practices respected, and so on. The obsession of this democracy is the protection of all kinds of minorities: cultural, religious, sexual, etc. The formula of democracy here consists of patient negotiation and compromise. What gets lost in this is the position of universality embodied in the excluded. The new emancipatory politics will no longer be the act of a particular social agent, but an explosive combination of different agents. What unites us is that, in contrast to the classic image of proletarians who have ‘nothing to lose but their chains’, we are in danger of losing everything. The threat is that we will be reduced to an abstract, empty Cartesian subject dispossessed of all our symbolic content, with our genetic base manipulated, vegetating in an unliveable environment. This triple threat makes us all proletarians, reduced to ‘substanceless subjectivity’, as Marx put it in the Grundrisse. The figure of the ‘part of no part’ confronts us with the truth of our own position; and the ethico-political challenge is to recognize ourselves in this figure. In a way, we are all excluded, from nature as well as from our symbolic substance. Today, we are all potentially homo sacer, and the only way to avoid actually becoming so is to act preventively. V. I. Lenin, ‘Notes of a Publicist’, published posthumously in Pravda, 16 April 1924; Collected Works, vol. 33, Moscow 1966, pp. 204–7. Samuel Beckett, ‘Worstward Ho’, Nohow On, London 1992, p. 101. 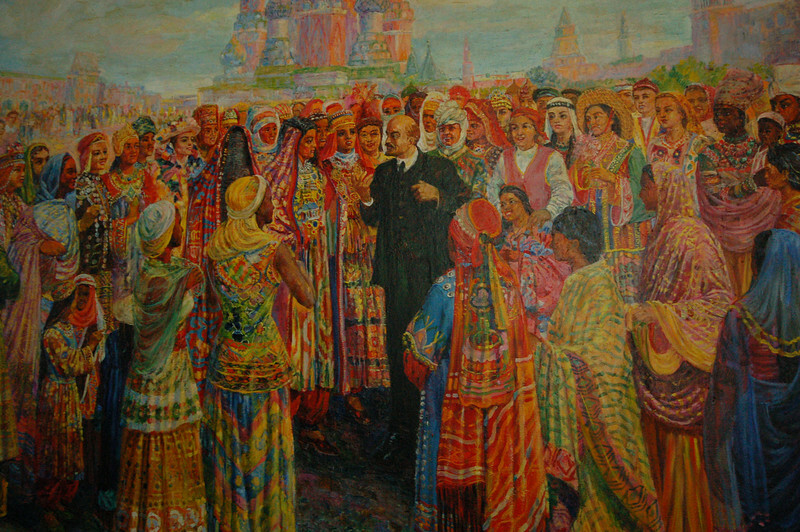 Lenin, ‘Eleventh Congress of the rcp(b)’, Collected Works, vol. 33, pp. 281–3. Sándor Márai, Memoir of Hungary: 1944–1948, Budapest 1996. 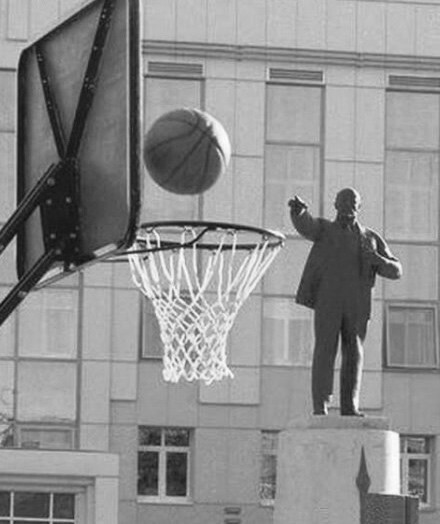 Moshe Lewin, Lenin’s Last Struggle , Ann Arbor, mi 2005. pp. 131–2. Quoted in Lewin, Lenin’s Last Struggle, Appendix 1, pp. 146–7. Lewin, Lenin’s Last Struggle, p. 84. Lewin, Lenin’s Last Struggle, p. 133. Lenin, ‘Better Fewer, But Better’, Collected Works, vol. 33, p. 495. Lewin, Lenin’s Last Struggle, p. 125. Lewin, Lenin’s Last Struggle, p. 124. Alain Badiou, The Meaning of Sarkozy, London and New York 2008, p. 115. This article was published in the New Left Review as “How to begin from the beginning” in issue 57, May-June 2009. The writer is a Post-Marxist sociologist, philosopher, and cultural critic. He is also Professor at the European Graduate School, International Director of the Birkbeck Institute for the Humanities, Birkbeck College, University of London, and a senior researcher at the Institute of Sociology, University of Ljubljana, Slovenia.